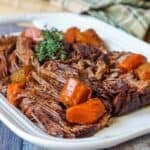 If you and your family honor Lent, then you may find it a challenge to find flavorful recipes that don’t include meat on the days that you go meatless! We here at Sunday Supper Movement can relate (we love our beef), but we also know that you can achieve deliciousness in your meatless meals, too. 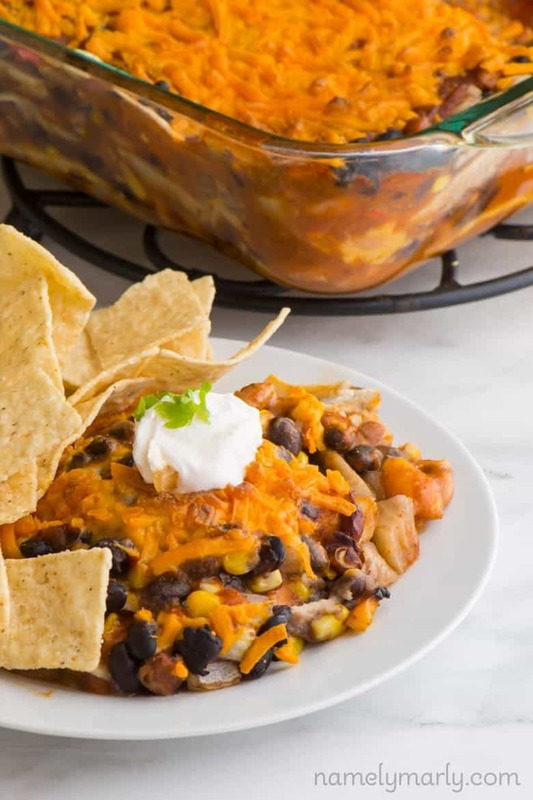 Whether you’re giving up meat on certain days for Lent or you’re just planning ahead for your next Meatless Monday, these tasty meatless casseroles will keep you full and happy! Cooking a delicious meatless meal doesn’t have to be a struggle. 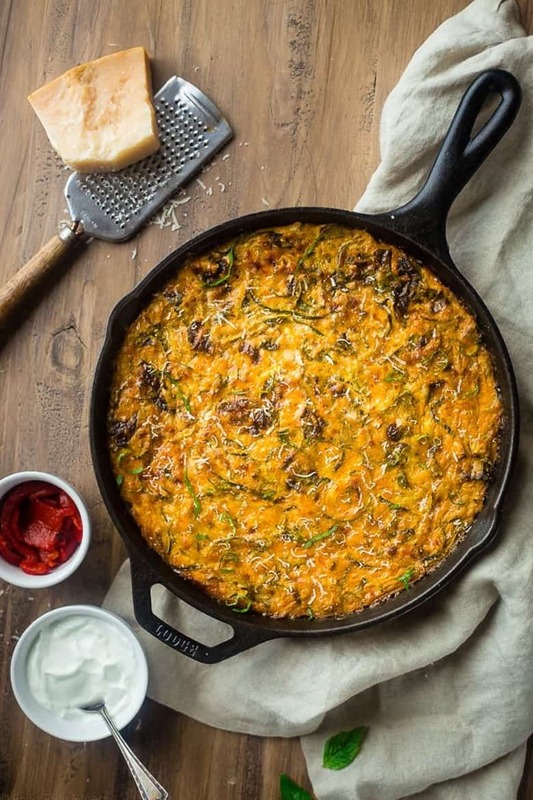 This collection of meatless casseroles covers all the bases, offering you plenty of simple meatless recipes, like this easy vegetable shepherd’s pie or this vegetable mac n cheese casserole! 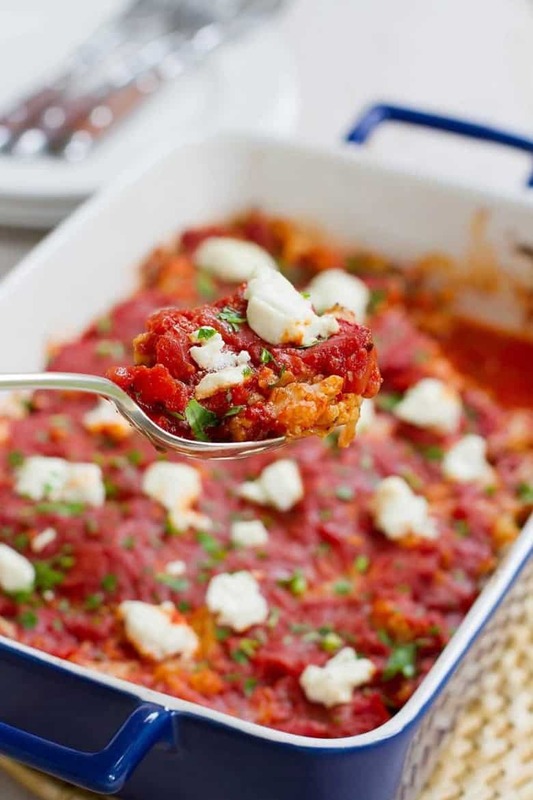 Fire roasted tomatoes, herbs, and creamy cheese; when it comes to meatless casseroles, what more could you ask for? This Tomato Casserole Recipe is a must-try. We love it! 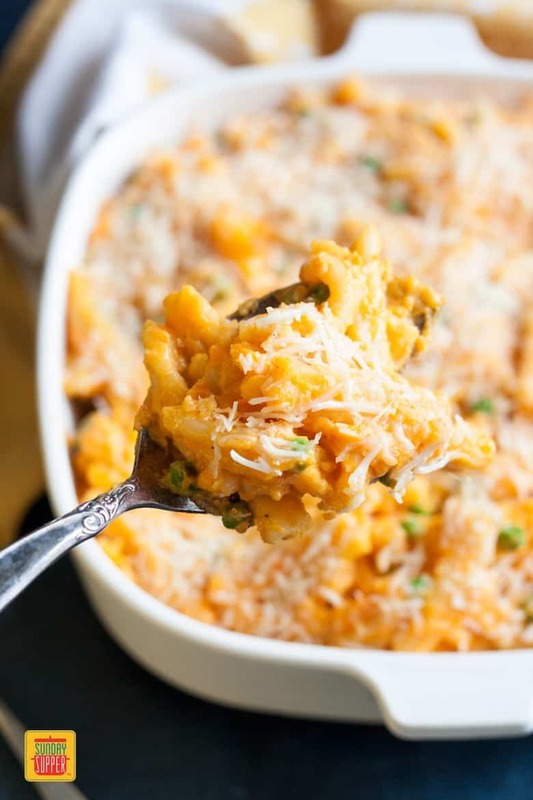 The perfect comfort food exists, and it’s this Sweet Potato Mac and Cheese Casserole. 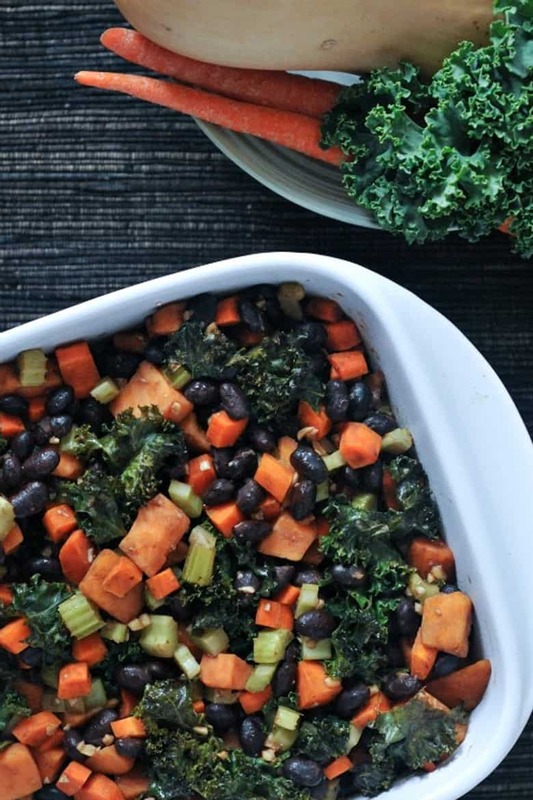 Ooey, gooey cheese, yummy sweet potatoes, and peas… there’s no question why this is one of our favorite meatless casseroles! 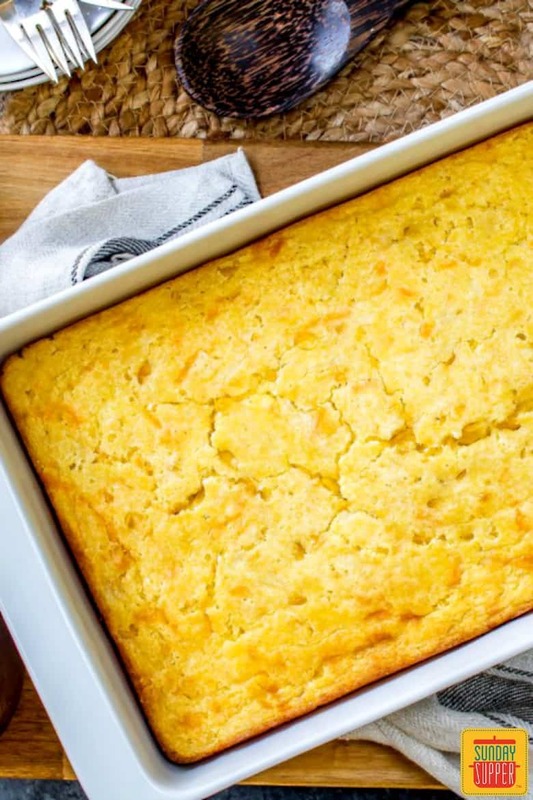 One of our favorite meatless casserole recipes is this Baked Creamed Corn Casserole! It’s simple, uses just a few ingredients, and is so delicious. We love a good lasagna recipe! 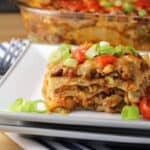 This Healthier Make Ahead Lasagna Freezer Meal is hearty, cheesy, and better for you than traditional lasagna. It’s totally meatless, and packed with flavor! 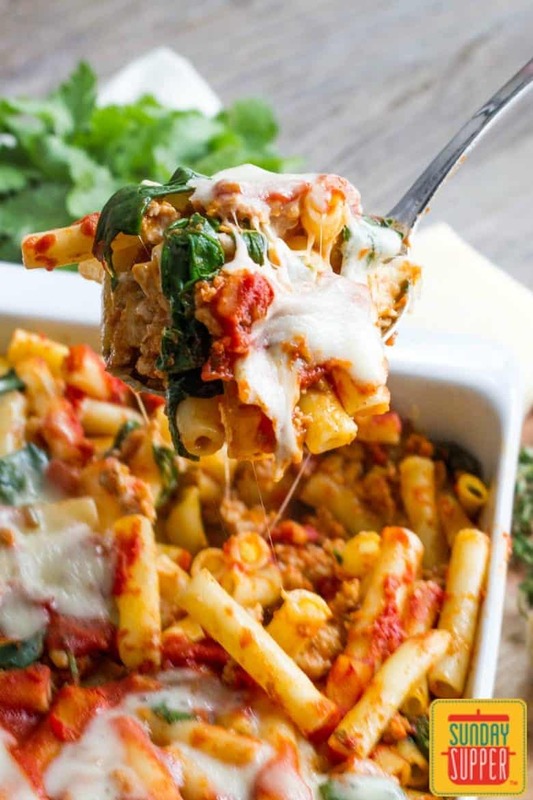 If you’re looking for a hearty, homey meal, this Spinach Baked Ziti Make Ahead Freezer Meal is for you! We love to make a big batch of this healthy recipe and freeze it for later. 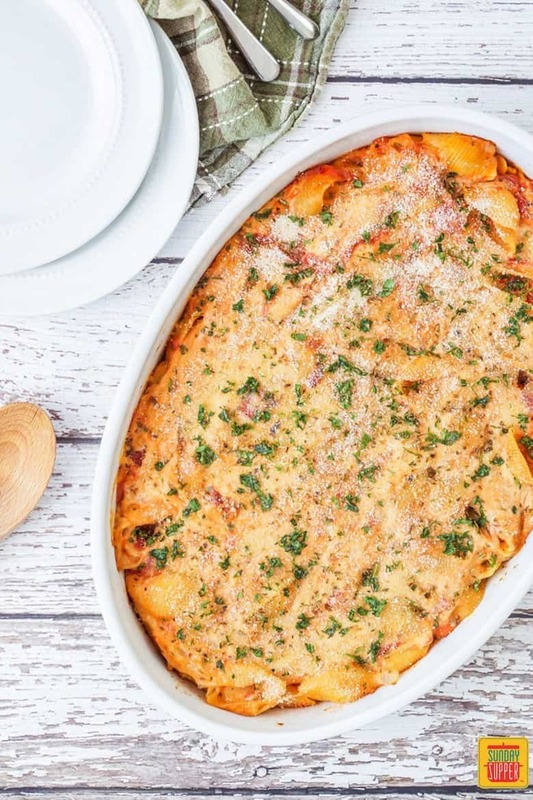 There’s a lot to love about a good potato dish like this Gluten Free Au Gratin Potatoes recipe. 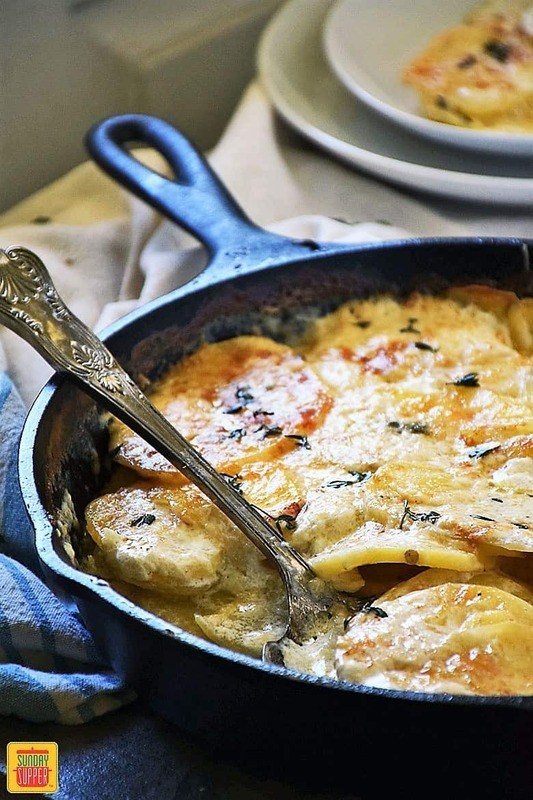 This dish will blow you away with its creamy, garlicky potatoes and deliciously cheesy crust! Deliciously rich? Check. Satisfyingly filling? Check. Easy to portion? Check. 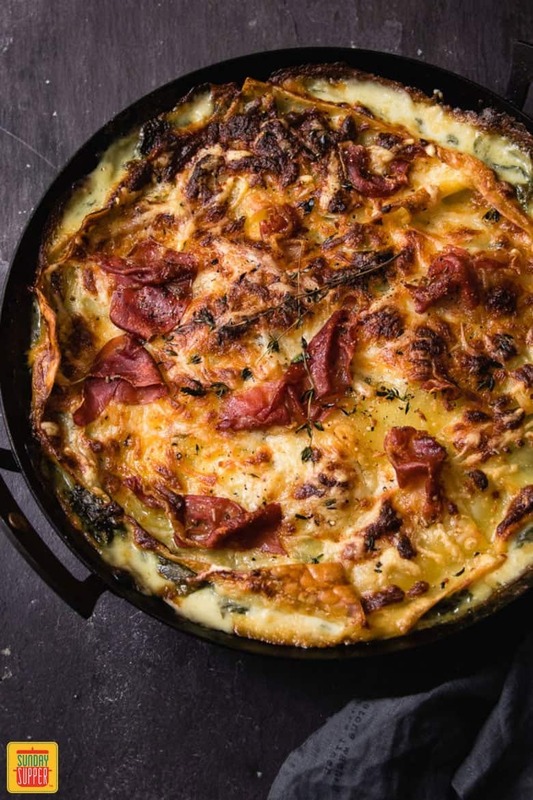 This Cheesy Potato Chard Bake is a flavorful, well-rounded recipe that we love! 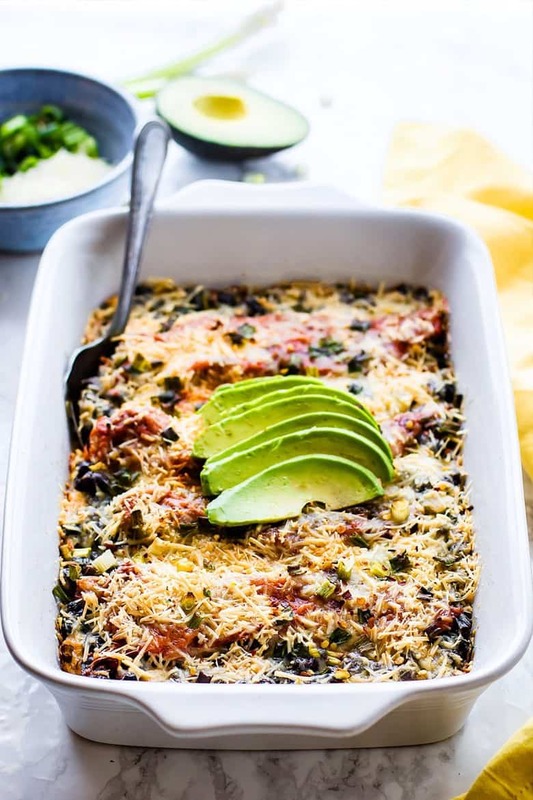 Polenta is one of our favorites, and even more so in this Easy Southwest Black Beans Polenta Casserole from Cotter Crunch! This tasty meatless dish is easy to make ahead and feed a crowd with. 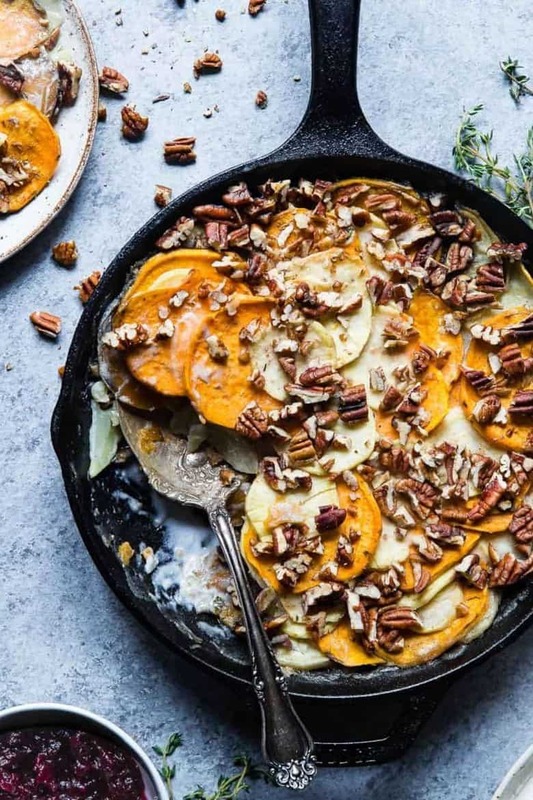 Butternut squash fans, this recipe is for you! This Butternut Squash Quinoa Casserole from Trial and Eater is PACKED with delicious veggie goodness. 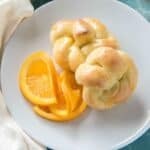 Not to mention, this yummy recipe is gluten-free! Lasagna is classic comfort food that comes in all shapes and sizes. 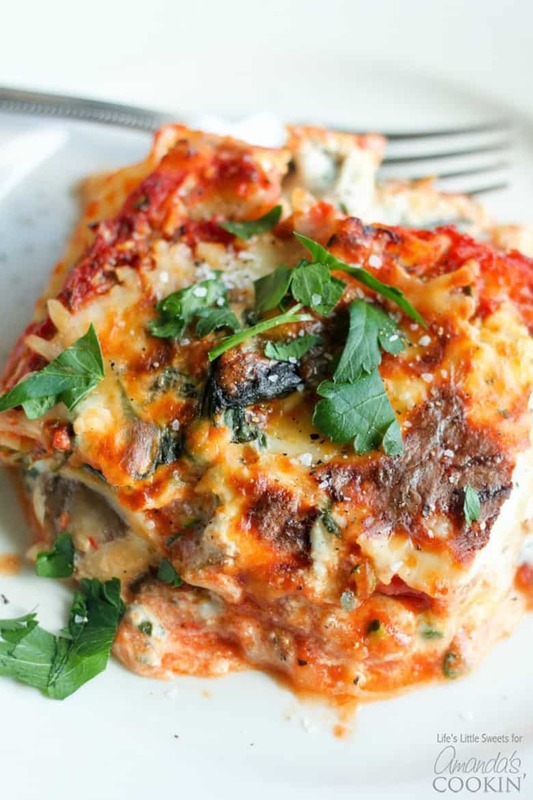 Personally, we love this Veggie Lasagna from Amanda’s Cookin’! Loaded with flavorful sautéed spinach, mushrooms, zucchini and fresh parsley, you won’t be longing for meat with this dish. 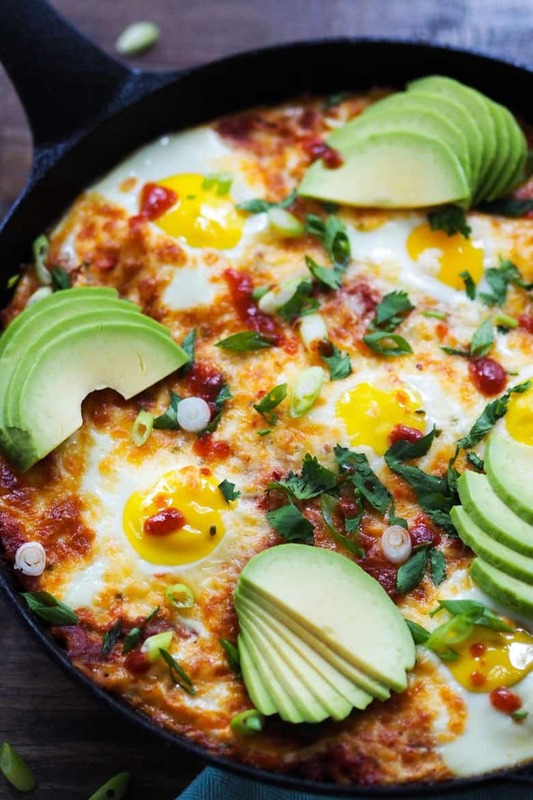 Packed with protein in the form of avocados and eggs, this Baked Eggs and Tortillas in Spicy Tomato Sauce recipe from Rachael Hartley Nutrition will leave you full and happy! Cauliflower is a favorite ingredient of ours! 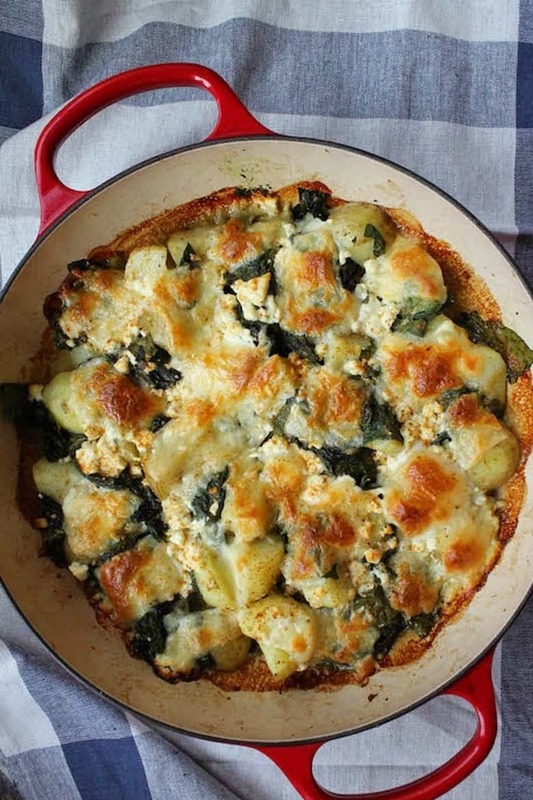 We especially love the use of it in this Baked Cauliflower Casserole with Goat Cheese from Cookin Canuck. 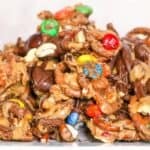 This recipe is so good for you, and absolutely delicious! 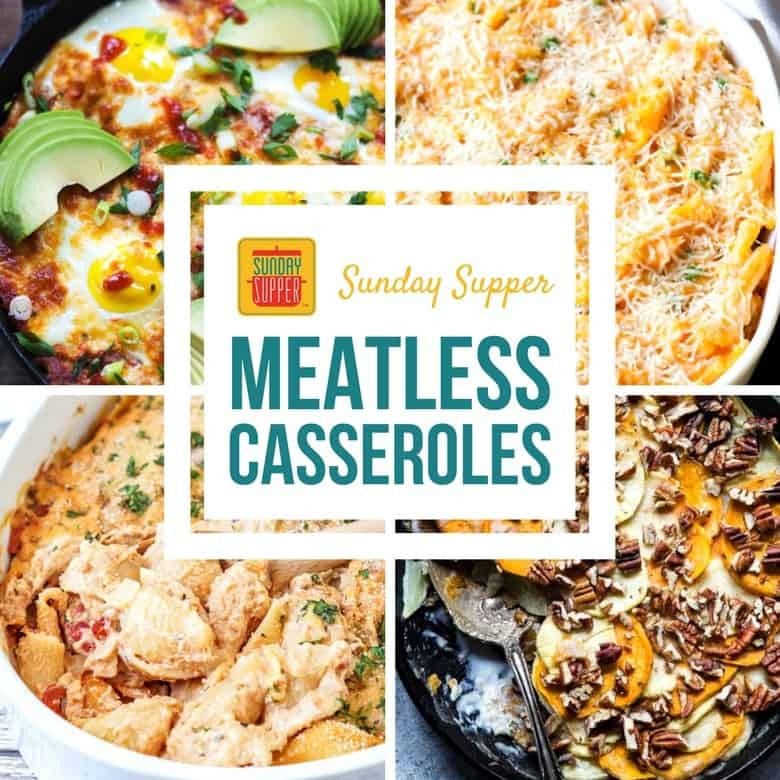 Food Faith Fitness knows all about meatless casseroles! 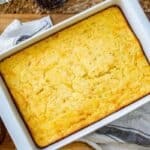 This recipe for Healthy Scalloped Sweet Potatoes Casserole is easily one of our favorite meatless casseroles. 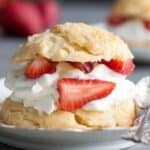 We love its rich and creamy flavor, and the fact that it’s good for you and gluten free, too! Stuffed mushrooms in casserole form? Not only is it possible, it’s so delicious! This Stuffed Mushroom Casserole recipe from Peas and Crayons is bursting with flavor. 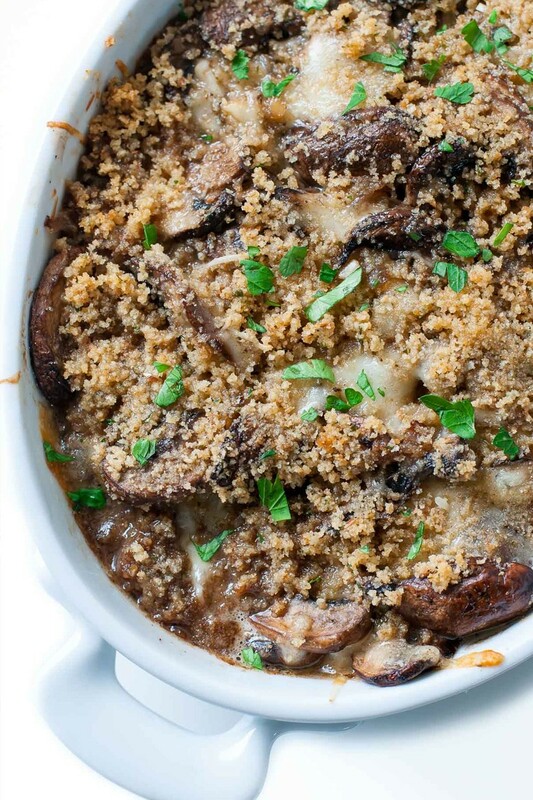 Garlicky mushrooms and tasty cheeses baked under a layer of seasoned breadcrumbs… what more could you ask for? 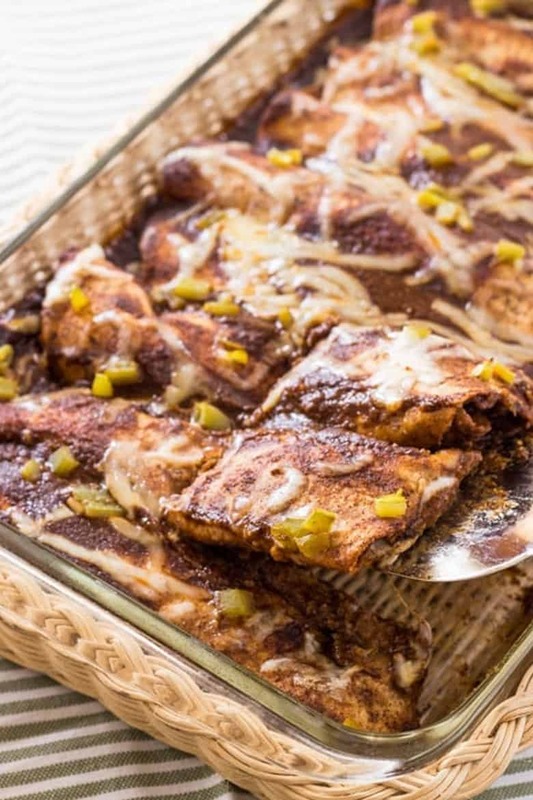 On a busy day, there’s nothing like this Vegan Two Bean Enchilada Casserole from Namely Marly. We love its simplicity and bold flavors! 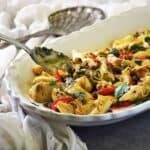 Spiralized Zucchini Casserole with Red Peppers, Spinach and Artichokes from Food Faith Fitness is a low carb, gluten-free dish that you can easily make for breakfast or dinner. We especially love the zucchini noodles and smoky roasted red peppers in this recipe! Homemade macaroni and cheese is practically unbeatable comfort food. 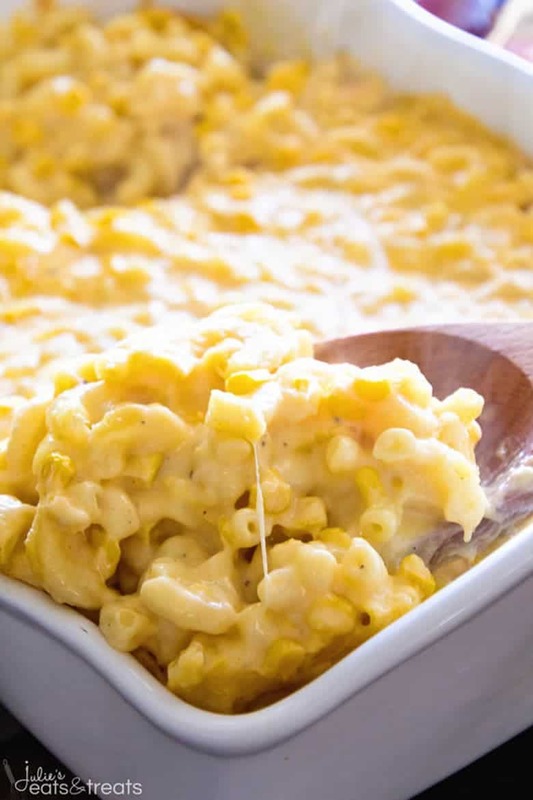 Julie’s Eats and Treats serves up this Creamy Corn Macaroni and Cheese Casserole with sweet corn, sharp cheddar, and parmesan, and we can’t get enough of it! 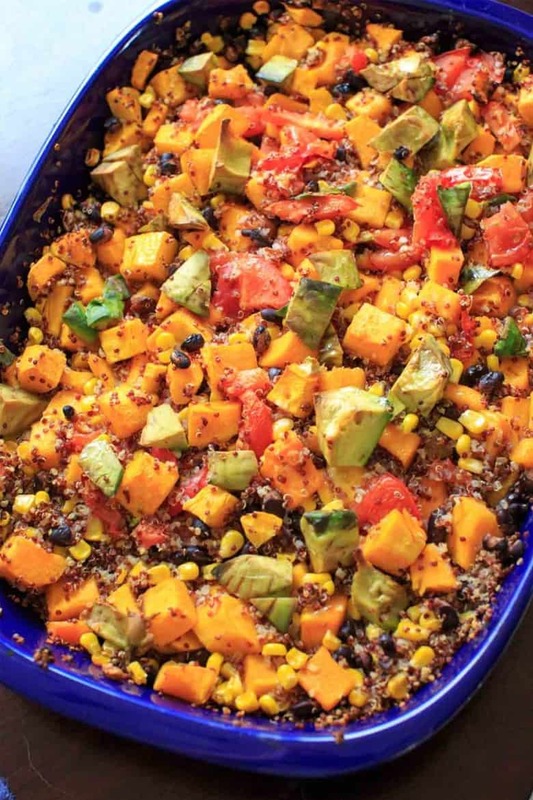 Fresh and flavorful is the name of the game with this Roasted Veggie Quinoa Casserole from Spabettie! This hearty dish will not only fill you up, but it’ll make you feel good, too! 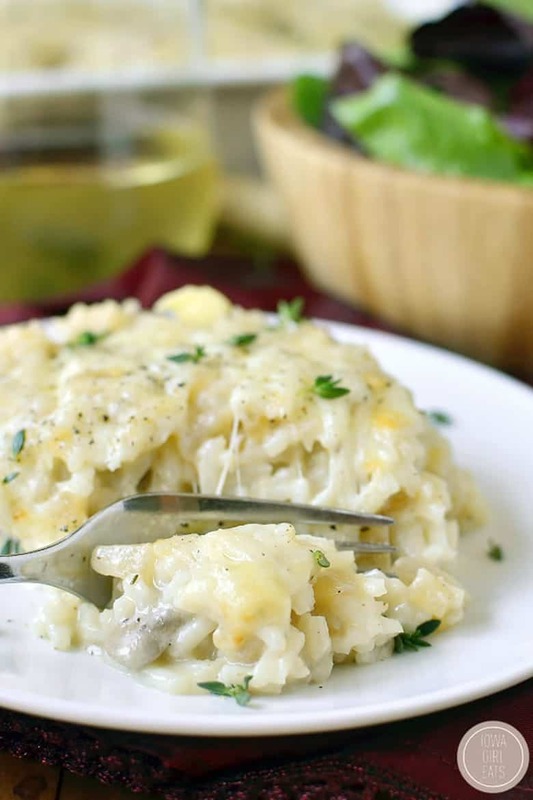 We’ll take another plate of this Creamy French Onion Mushroom Rice Casserole from Iowa Girl Eats, please! This comforting meatless recipe mimics your favorite French onion soup in casserole form, and it’s delicious. Enchurritos are the tasty mashup of enchiladas and burritos! Filled with spicy refried black beans and cheese-filled green chiles, this recipe for Chile Relleno Enchurritos from Letty’s Kitchen is a dish that will disappear the second you set it out to eat. It’s just so tasty! 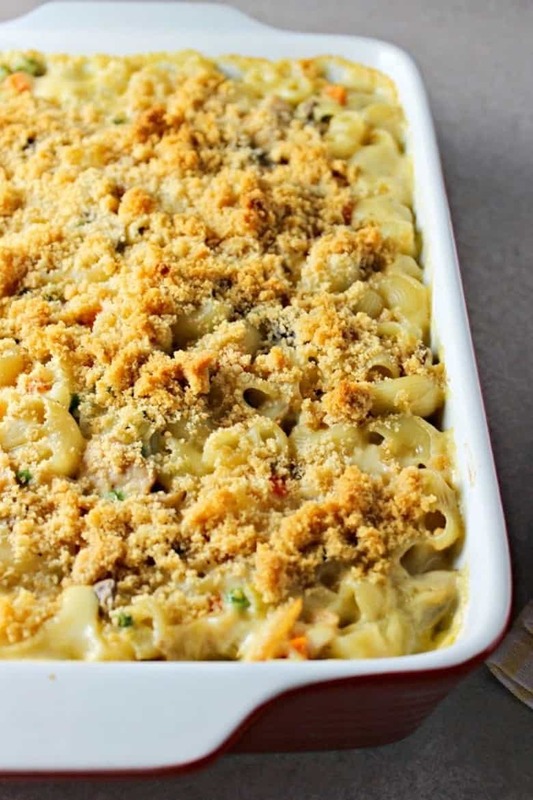 Tuna noodle casserole is a beloved classic. 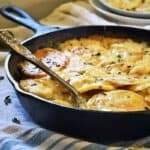 We love this recipe for Lighter Cheesy Tuna Noodle Casserole from Renee’s Kitchen Adventures because it is completely made from scratch, and so incredibly yummy! 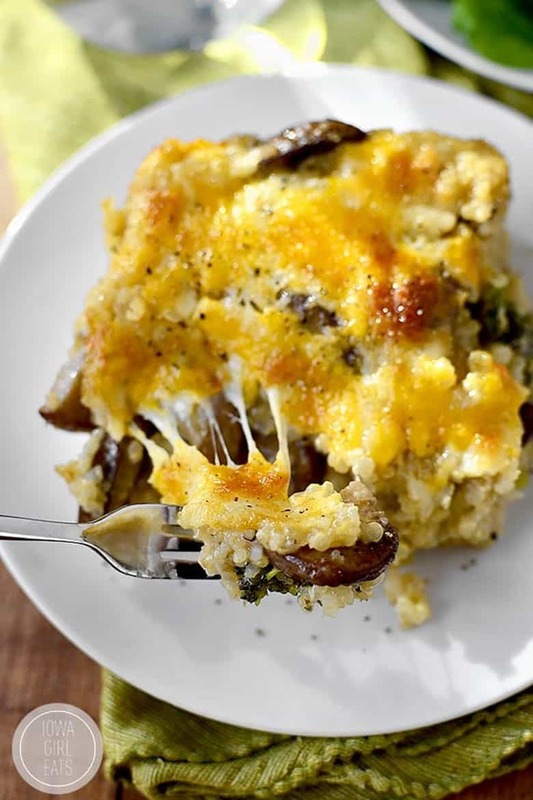 Sautéed mushrooms, steamed broccoli, and quinoa, baked with a creamy mushroom sauce and ooey, gooey cheese… this Cheesy Mushroom and Broccoli Quinoa Casserole recipe from Iowa Girl Eats is like a little slice of heaven! 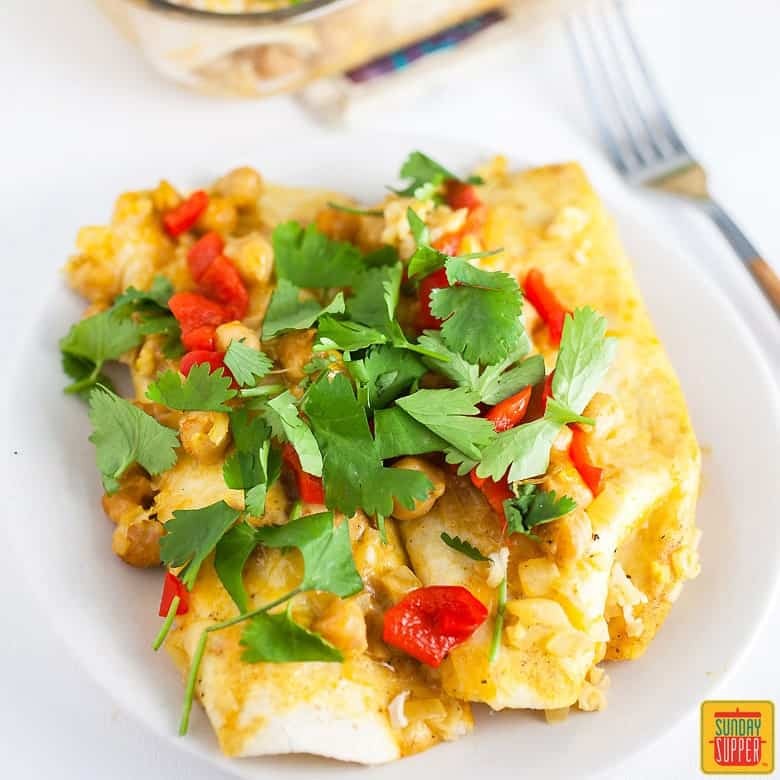 Try this Vegetarian Enchiladas Recipe with Chickpea Curry and our collection of Sunday Supper meatless casseroles! Evergreen collection it is ! Thank you so much ! 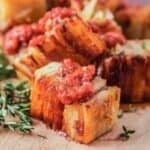 What a fabulous collection of recipes! I want to make every one of them. 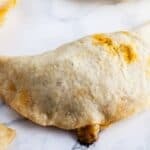 Thank you for including my Chile Relleno Enchurittos!